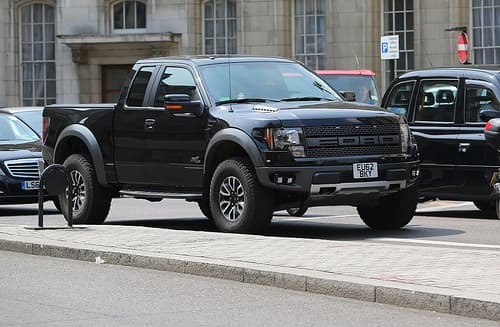 It is a well known fact that Americans like their trucks, and never has this fact been solidified more than during the first quarter of 2013 as sales for the Ford F-150 SVT Raptor increased by about 14% altogether. It appears that they cannot wait to get their hands on the latest pickup truck that Ford has to offer, and Ford is adjusting to meet the demand by restarting production and churning out more and more of the year’s F-150s. The increase in demand is so high that Ford now has one of the shortest days’ supplies in the automobile industry. This means the amount of time that a new model or vehicle stays on a lot once it arrives at the dealers. In short, dealers are having a hard time keeping the F-150s on their lots and Ford could not be happier about the fact. Seven years ago Ford originally talked about building a performance truck, but it took a few years for the idea to actually come to light. Today as more and more people turn to pickup trucks for their wider cabins and great storage space the Ford F-150 continues to gain momentum in the market and build a large following that is jumping on the release of every updated model. Acting upon the new momentum and the 14% increase in 2013 sales that has already been seen, Ford announced this week that it would be increasing its production rate of the vehicle at its Dearborn, Michigan Ford Truck Plant. Previously the plant was producing three Raptors per hour but the new plan is to produce five Raptors per hour and hopefully catch up with the demand. Overall this will be a whopping 67% production increase which is the highest production shift to hit the industry yet, but Ford must have something up their sleeve. Perhaps they just a lot of confidence in the high sales potential of the Raptors, but industry experts believe that Ford has something planned. Given the high sales margins already seen, it is a safe bet to say that Raptor sales will likely continue to be strong until the end of 2013. At this point most insiders believe that Ford is going to make some major changes once they unveil the 2015 F-150 Raptor. There is some speculation that this might mean taking away the power package or adding new features to make the powerful vehicle even more stunning.